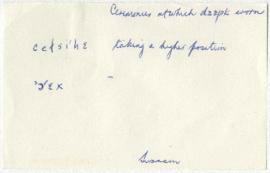 From 1959-1972 the records were in the custody of Wilson Duff, but at some point before his death he gave the files to Marjorie Halpin (likely around the time she was working on her UBC dissertation on Tsimshian crests – completed in 1973). 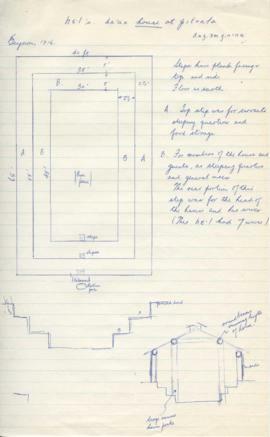 Halpin controlled access to the Tsimshian files until her death in 2000. 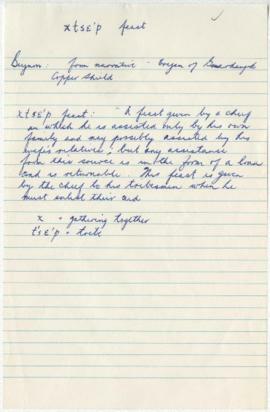 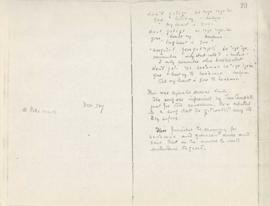 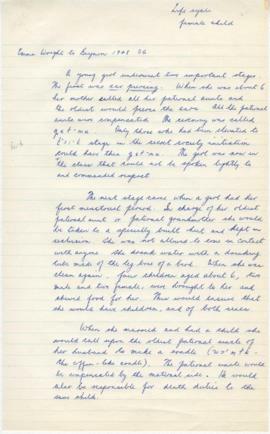 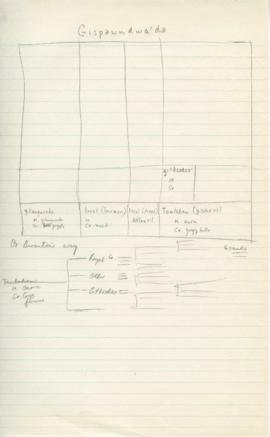 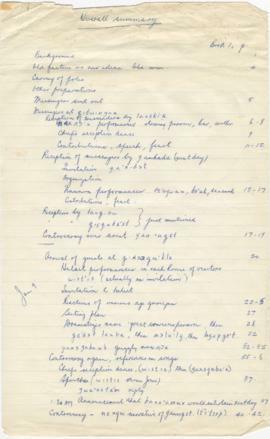 Research notes compiled by Wilson Duff during his work on the Barbeau/Beynon material held at the National Museum of Canada (now Canadian Museum of History). 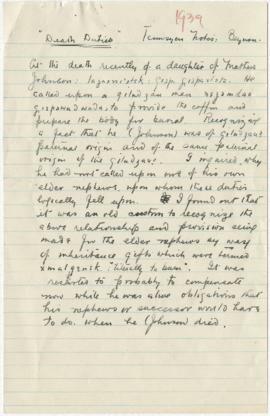 This research, focused specifically on the Tsimshian culture, includes correspondence addressed to and/or written by Duff, files relating to the Nishga Land Claim of which Duff was involved as a witness, and typed manuscripts. 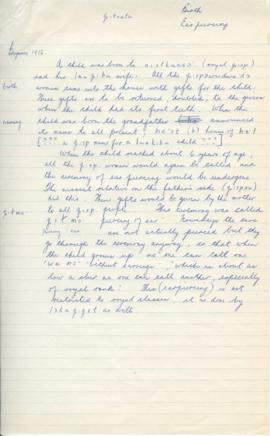 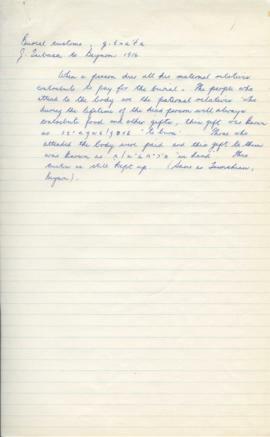 Prior to their description in the Wilson Duff fonds, the Tsimshian files were described in the Marjorie Halpin fonds. 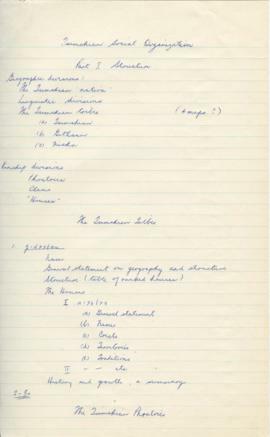 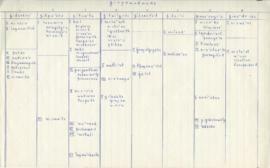 The records were described in Series 6, Wilson Duff Files; Sub-series A: Research Files, 1915-1970 and Sub-series B: Miscellaneous Files, 1952-1976. 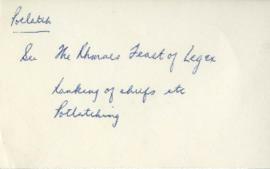 A large portion of this series was digitized by MOA staff in 2016 and 2017. 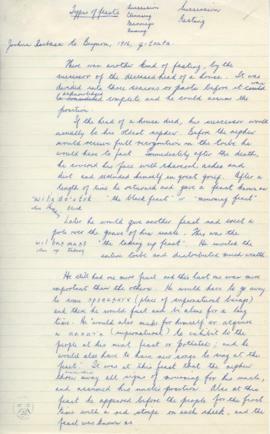 Additionally, in May 2002, the archives received a draft copy of the “Virtual Duff Files” created by Dr. Margaret Sequin Anderson, Professor of First Nations Studies at the University of Northern British Columbia. 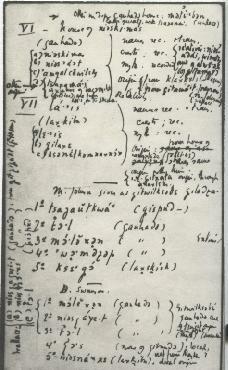 Anderson’s project includes a digital copy of Duff’s Tsimshian files on ten compact disks and a synopsis of the history and uses of the Tsimshian files by scholars. 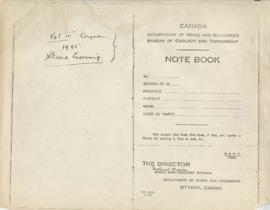 Researchers can access this aid in the archives. 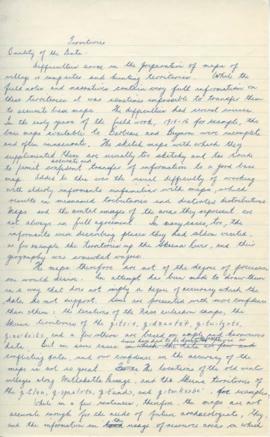 Researchers are not permitted to make any copies from, or quote, the “Virtual Duff Files” without the express permission of Dr. Margaret Seguin Anderson. 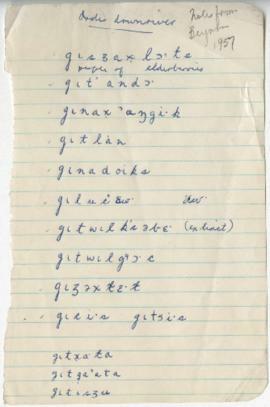 Related groups of records in different fonds: Related records on the subject of Tsimshian research can be found in the Marjorie Halpin fonds. 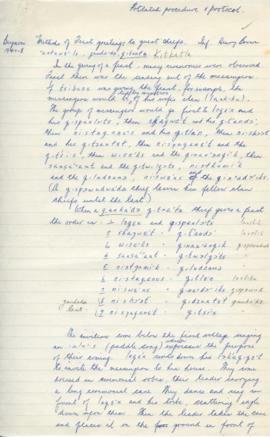 Numeric notations found on the original file folders have been noted on a file list for this series and can be found in the “Wilson Duff - case file” and the “Duff Tsimshian Records” files held by the archivist. 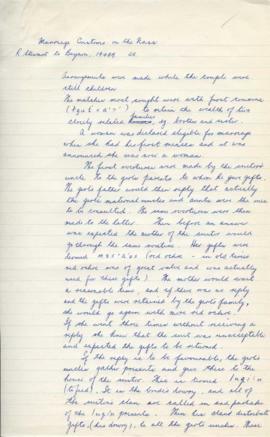 It is unclear as to who wrote these numbers and for what reference purpose they have.